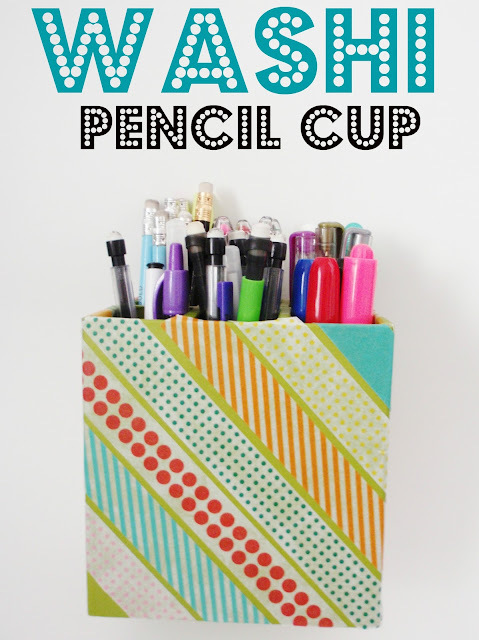 Today I can't wait to share this cute pencil cup! I think I'm officially sucked into the world of Washi tape. In cased you missed it, I did a post about my Washi tape tray last week. Are you noticing my love for Target yet? I took three different sets of Washi tape and taped them down vertically, horizontally, and diagonally. I love my new colorful pencil cup!